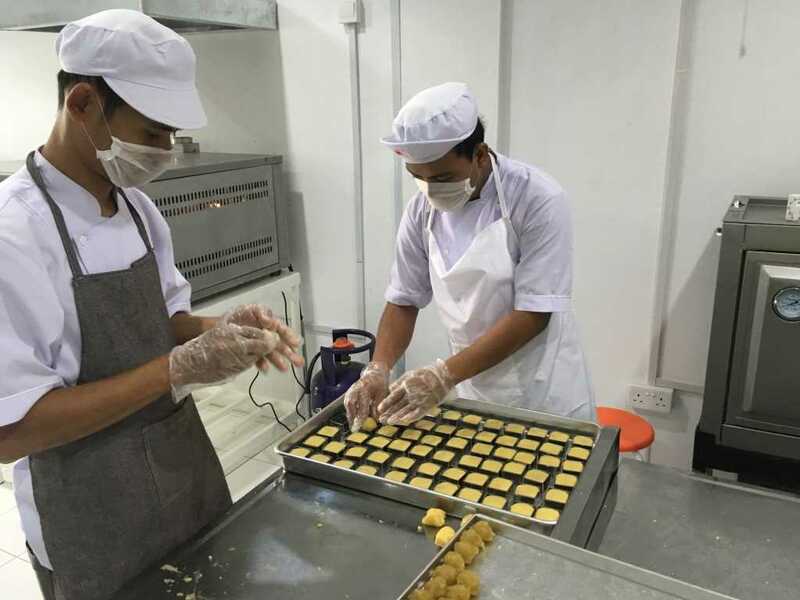 ABOUT "Batam Hot Deals #59 – 1 Day Batam Pineapple Cake DIY Making by Desindo Tour"
Depart from Singapore Harbor front Centre. 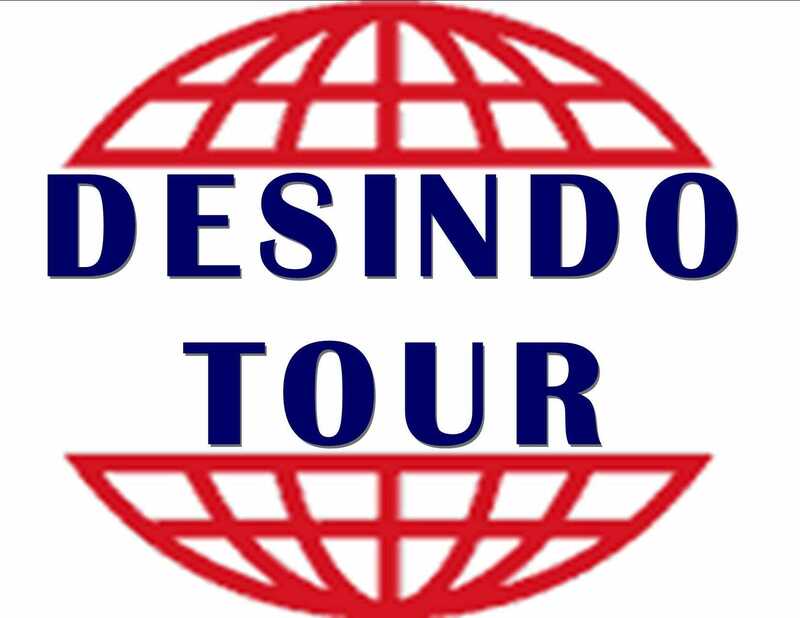 Upon arrive at Sekupang pier, after immigration / custom clearance, you will be greeted by our friendly tour guide and escorted to awaiting air-conditioned bus. 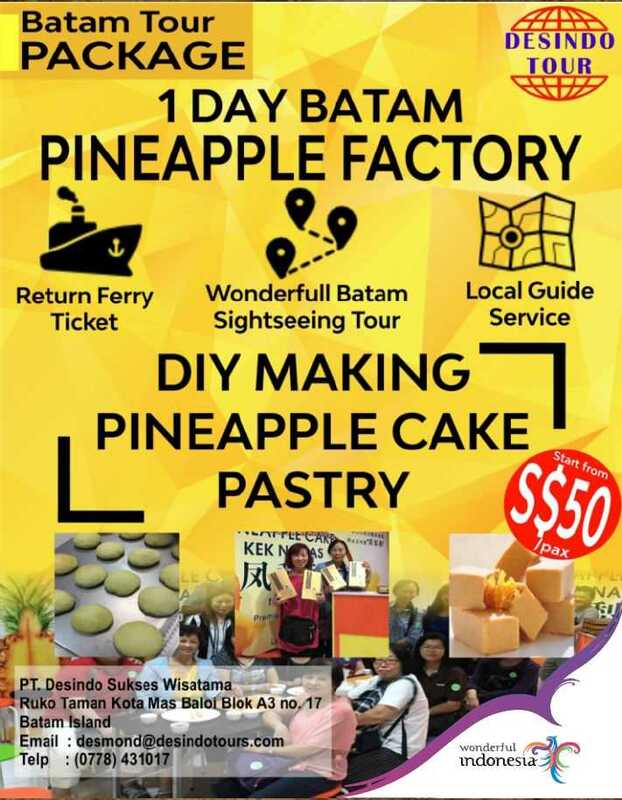 Our tour for day will begin with The Iconic of Welcome to Batam Monument, Laughing Buddha Temple and Pineapple Cake Factory for 1.5 Hours DIY Making Pineapple Cake Pastries, chef desy will teach you how to make delicious pastries combine from Taiwan and Indonesia’s recipe. Thereafter, proceed for Lunch at Sunda Sawargi Indonesia Restaurant. After lunch, proceed to visit Batam Chocolate House, Armyman Factory Outlets, Kuda Lumping Trance Dance, Kueh Lapis Factory, Local Dry Market, Golden Factory Outlets, Latex Learning Centre, Coffee Factory and lastly drop off at Mega Mall Batam Centre (MMBC) for your last stop shopping. Depart by high speed ferry to Singapore. 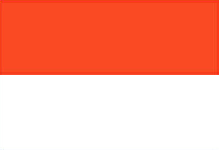 - Valid for travel on Weekdays only (MON - THU), Weekend (Fri, Sat, Sun) Surcharge of S$5/pax will be applied - Valid till 31 March '19 travel - Not valid for Indonesian passport holder - Subject to administrative fees - Any amendment of ferry timings will be subject to SGD 5 per ticket per changes - Valid for departure from HarbourFront to Batam Center or Sekupang / Tanah Merah to Nongsapura or HarbourBay - No open dated trip - Rooms and Ferry timings are subject to availability - This is an eVoucher only (reservation is required after purchasing of the voucher) - Advance booking is required before travel The Package Exclude of: - Batam Guide & Driver Tipping of S$2/pax/day. 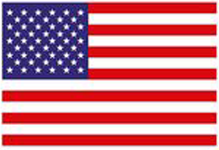 - Personal Insurance, Room Service, Optional Tours, Porterage Fee, Visa Fee, and all expenses of personal nature.